When a Child Dies: Losing a child is devastating. Our goal will be very simple. We will work to unearth meaningful, tangible comfort in Christ—especially mining God’s goodness and his trustworthiness—in the midst of the most agonizing of bereavements. Click here to download the outline of this session. 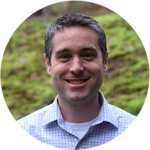 Alasdair Groves is a faculty member at CCEF and the director of counseling at CCEF New England. He holds an MDiv in counseling from Westminster Theological Seminary. Alasdair has also served as a pastoral counselor and a campus minister.